Members of the Providence Girls rugby team, after their 40-0 hammering of Bishop’s Centenary I yesterday at the Queen’s Park Savannah, Port of Spain. PROVIDENCE GIRLS hammered Bishop’s Centenary College I 40-0 yesterday, to win their second straight match in the 2019 Secondary Schools Rugby League at the Queen’s Park Savannah, Port of Spain yesterday. 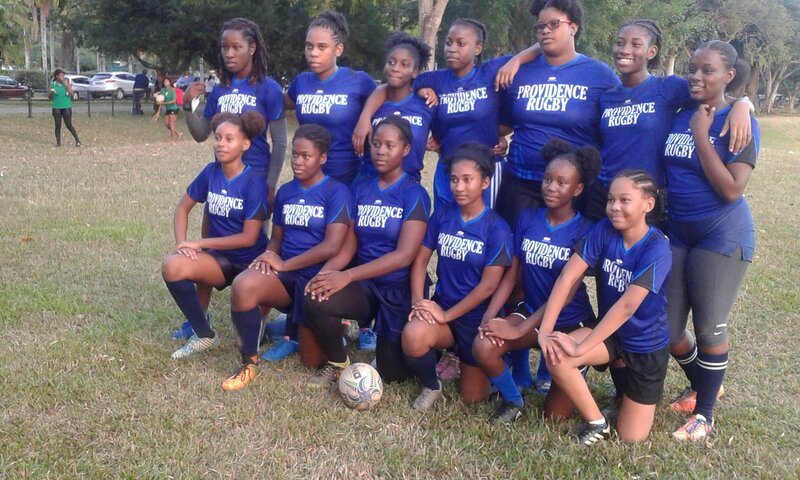 Scoring tries for Providence Girls were Denisha Emmanuel, Patrice James, Moesha Smith and Amartis Jawahir, as Bishop's Centenary had no answer for their opponents. In the day’s opener, Tranquillity cruised past Bishop’s Centenary II 20-0. Britney Collette, Shania Worrell, April Dopwell and Aliyah Davis each scored a try for Tranquil. League debutants San Juan North were also in winners’ row, blanking Bishop Anstey 12-0. Akilah Gomez scored a try and a conversion, and Sarah Edwards had a try for the victors, who are showing they belong in the league. Reply to "Providence trounce Bishop’s Centenary I 40-0"